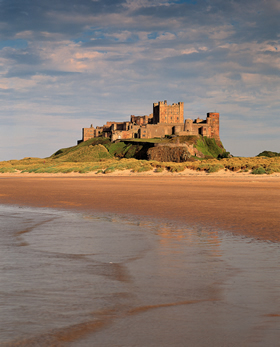 England's northernmost county, Northumberland has a mystique about its rocky coasts and ancient forts. Sharing an 80-mile border with Scotland has meant that Northumberland's history is dotted with bloody battles, and the line between the county and its northern neighbour has changed more than once over the course of history. 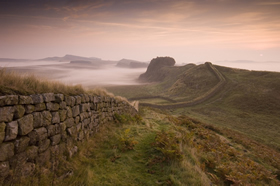 This rather violent historical connection between the two places has also given Northumberland its most famous site, Hadrian's Wall. This near mythical, Great Wall-esque stone defence system was built by the Romans to keep out invading Pictish tribes from Scotland. Hadrian's Wall stretches for more than 80 miles across the northern side of Northumberland and is now a UNESCO World Heritage Site. The county has two Areas of Outstanding Natural Beauty - Northumberland Coast and North Pennines - which nods to its vast, unspoilt beauty. 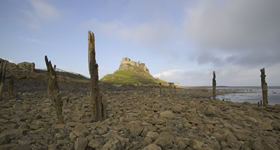 The Northumberland Coast is dotted with ancient forts and is also a place for wildlife enthusiasts to find geese, waders, ducks and even seals. Meanwhile, Northumberland National Park is a 405-acre protected natural reserve that encompasses the Chevriot Hills and other barren mountains that provide stunning views for miles around. 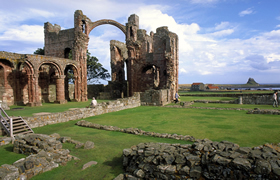 Northumberland is also a county of castles, of which there are purportedly more than 70. These range from well-preserved traditional medieval or Norman stone castles, such as Alnwick Castle and Chillingham Castle (aptly named, for it is said to be haunted), to early Roman forts such as those at Chesters and Houseteads, the latter of which is the most complete Roman fort in all of Britain. 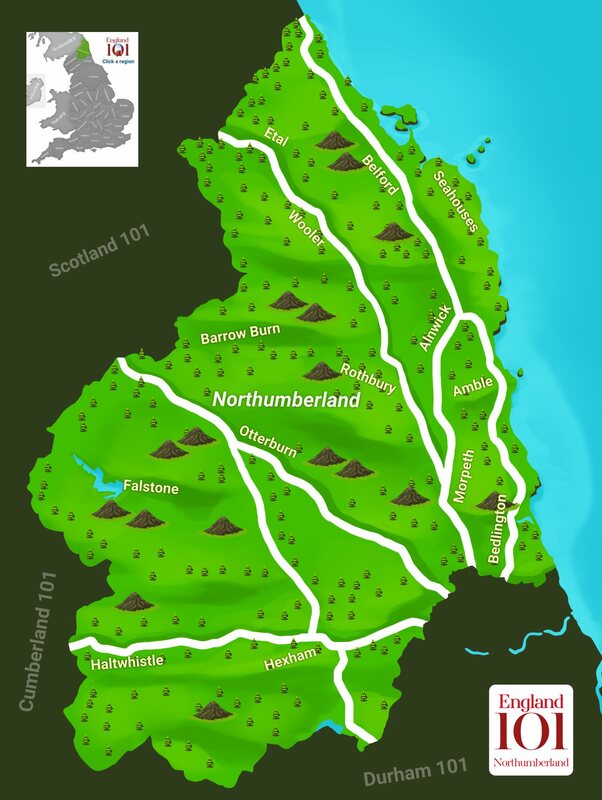 Contrarily, Northumberland also traditionally included Newcastle upon Tyne, which was historically its county town. This bustling city is, among other things, home to Newcastle Brown Ale and Newcastle United Football Club. But perhaps Northumberland's most famous export is musician Sting, who was born Gordon Sumner in Newcastle in 1951. 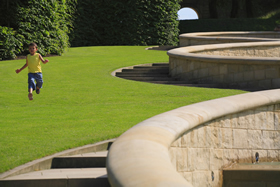 A small boy running on the lawns next to the Grand Cascade water feature, in the heart of the Alnwick Garden, Northumberland. Castle view from beach, Bamburgh, Northumberland. Hadrian's Wall winding it's way over the Northumbrian landscape, Hadrian's Wall, near Housesteads, Northumberland. 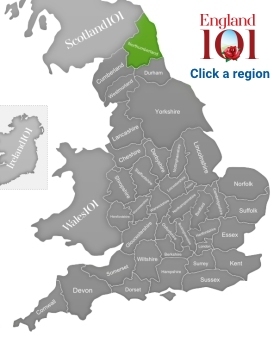 How much do you know about Northumberland ?